All dresses require you choose sizing based on a specific designer size chart. Every collection will vary with sizing. 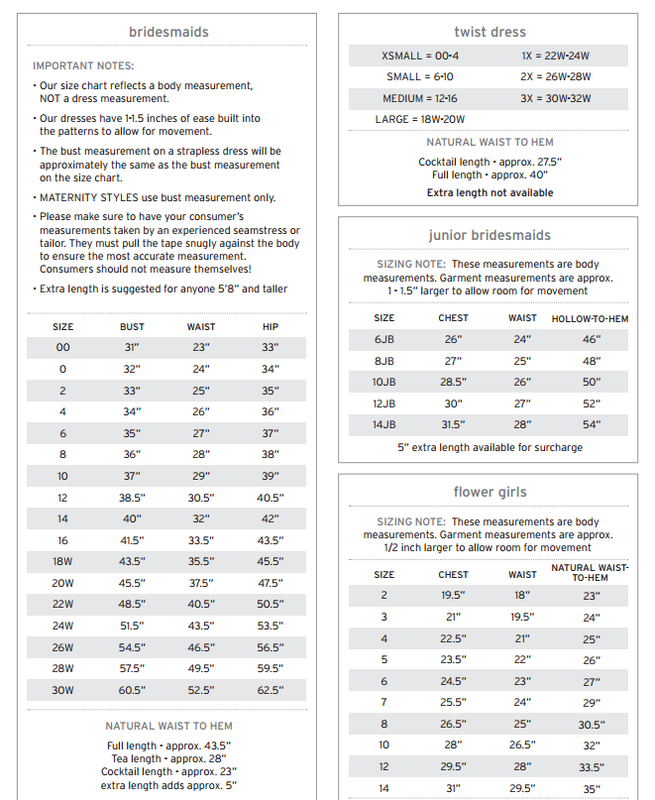 We highly recommend you review your size chart before placing an order; as special occasion sizing is different then standard fashion. The size chart below is for all Dessy Collections, including After Six, Lela Rose, Twist, Dessy Flower Girls, Dessy Junior Maids, Dessy Flower Girls, Social Bridesmaids and Studio Dresses.